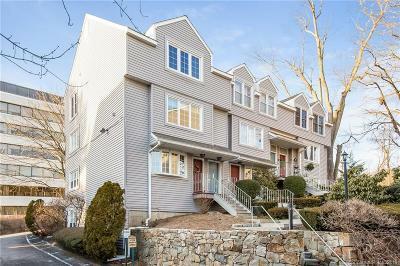 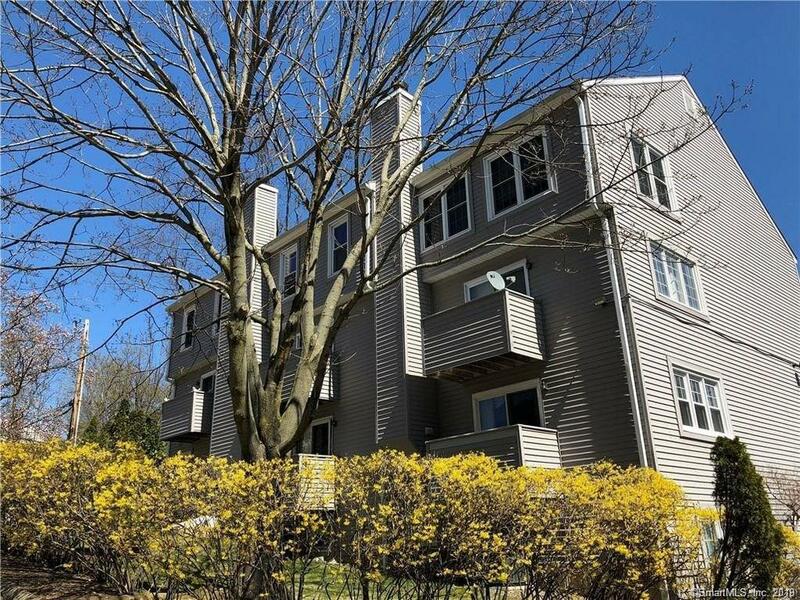 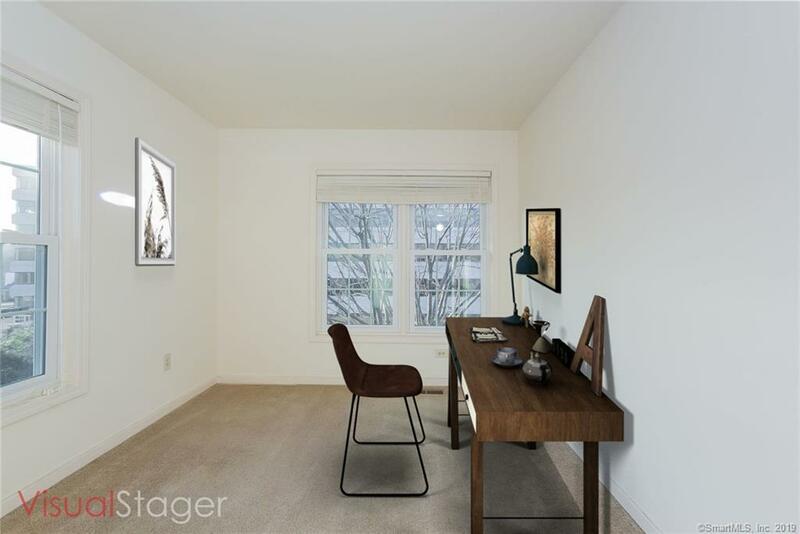 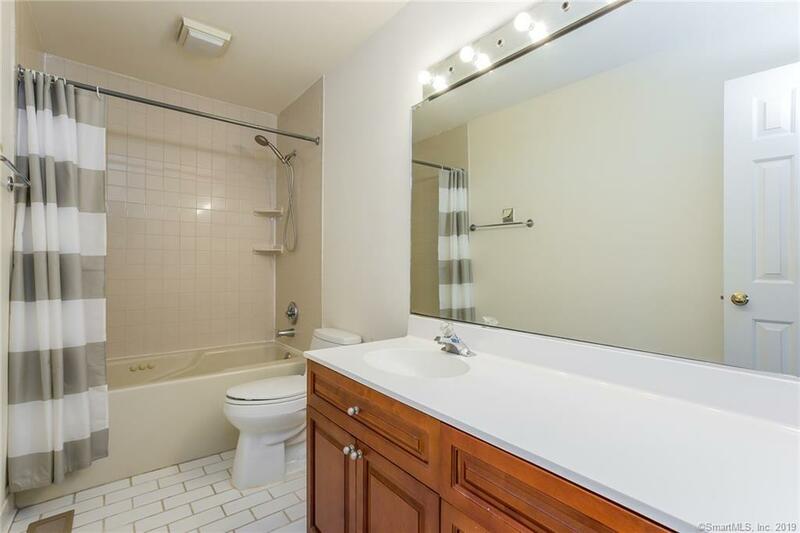 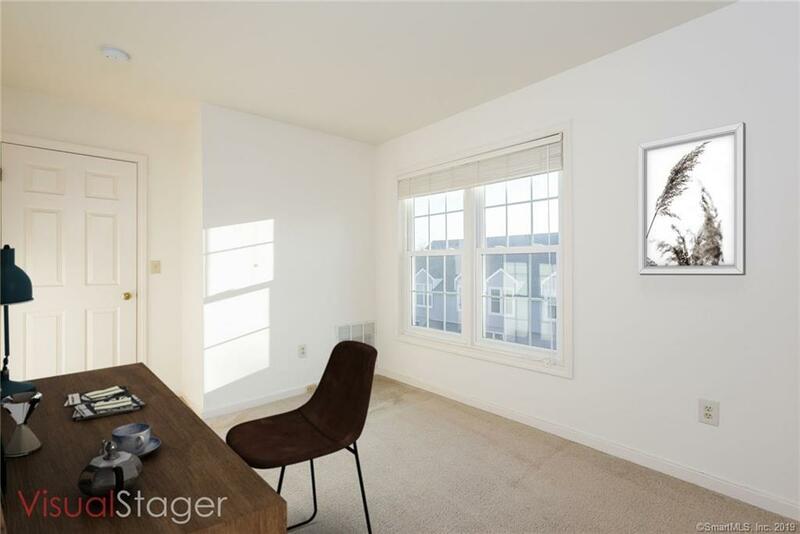 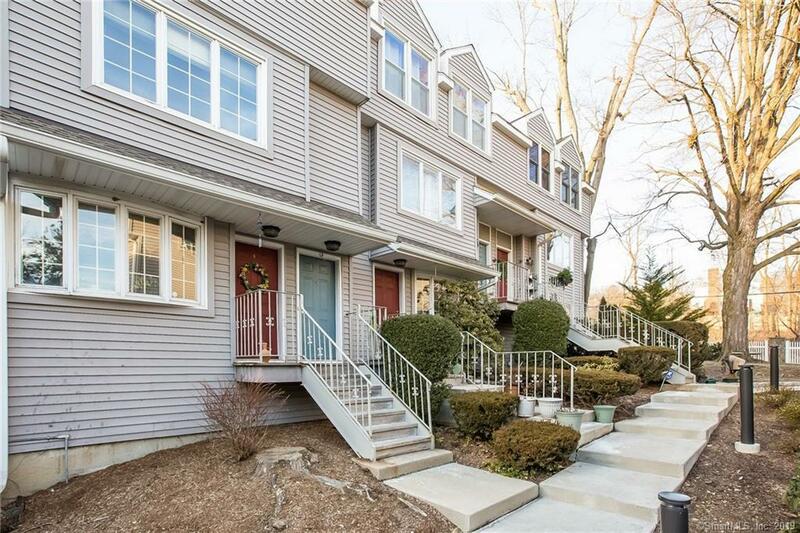 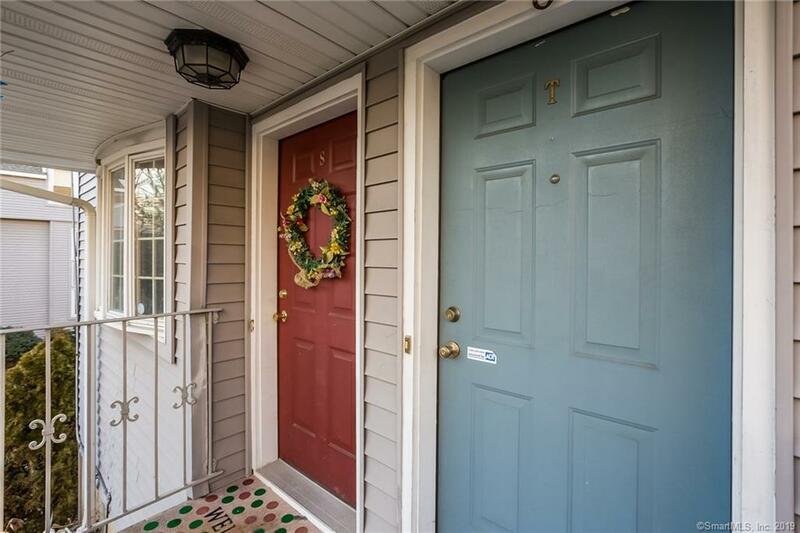 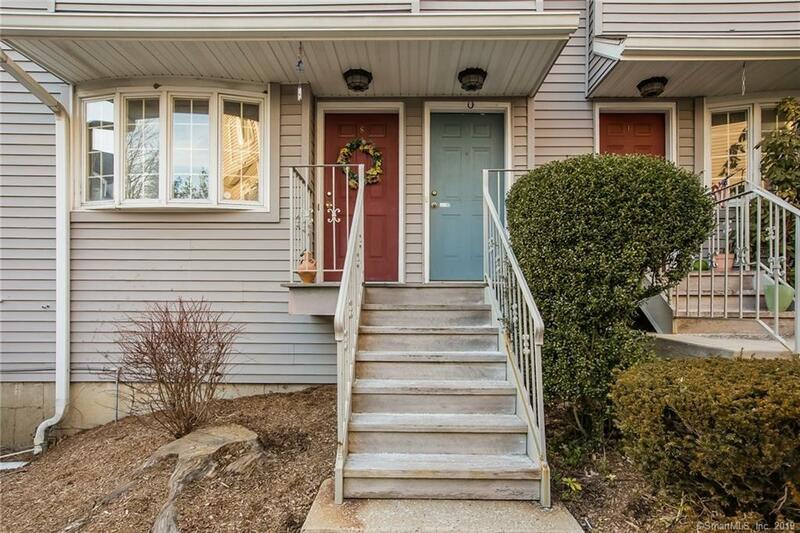 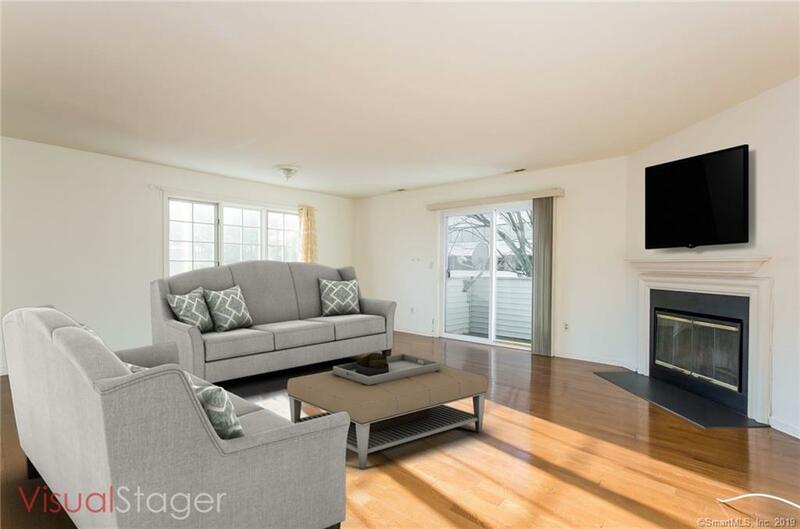 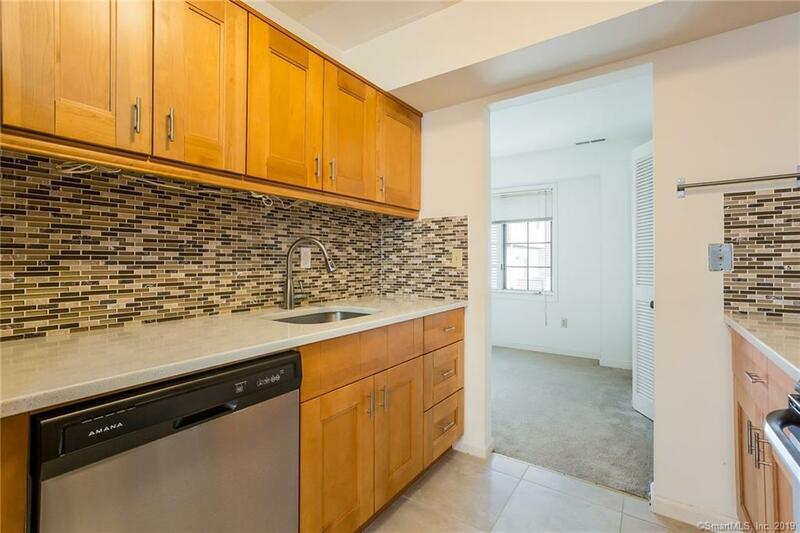 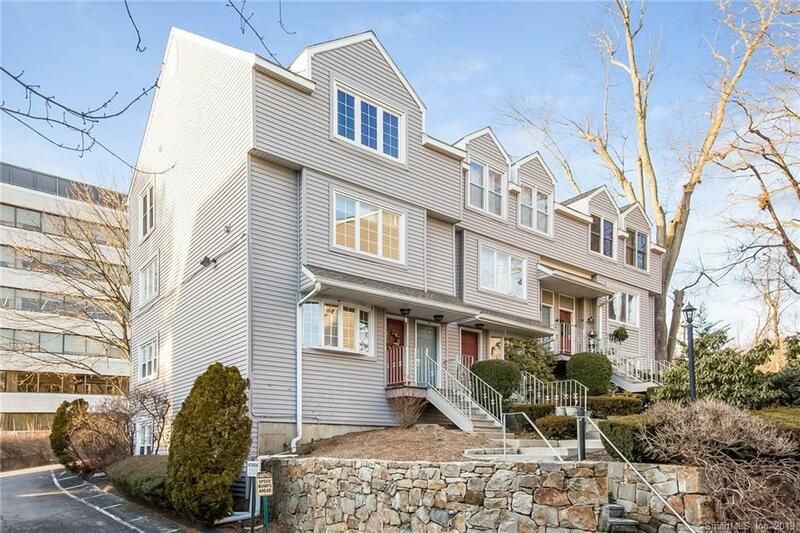 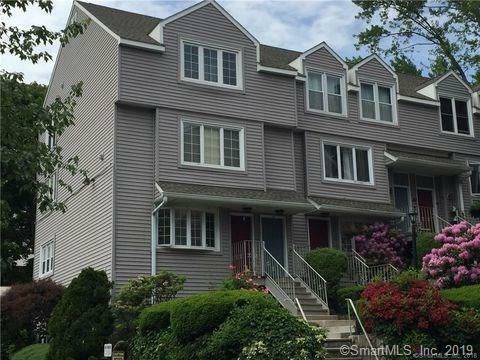 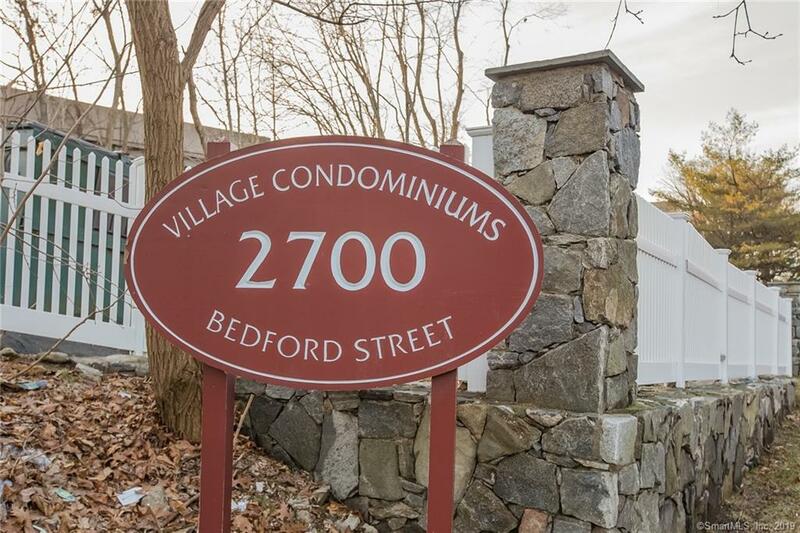 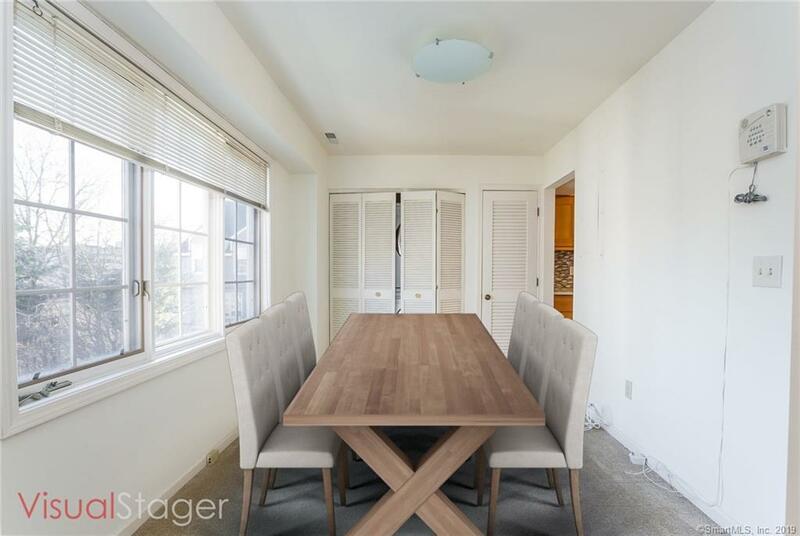 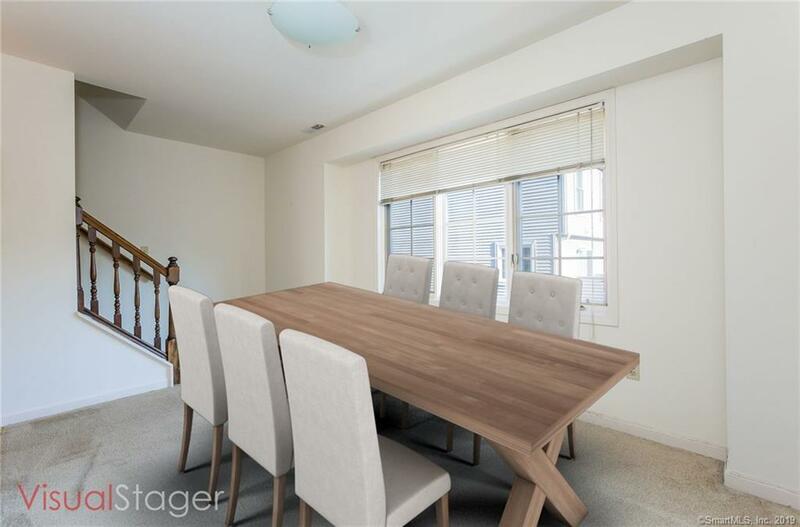 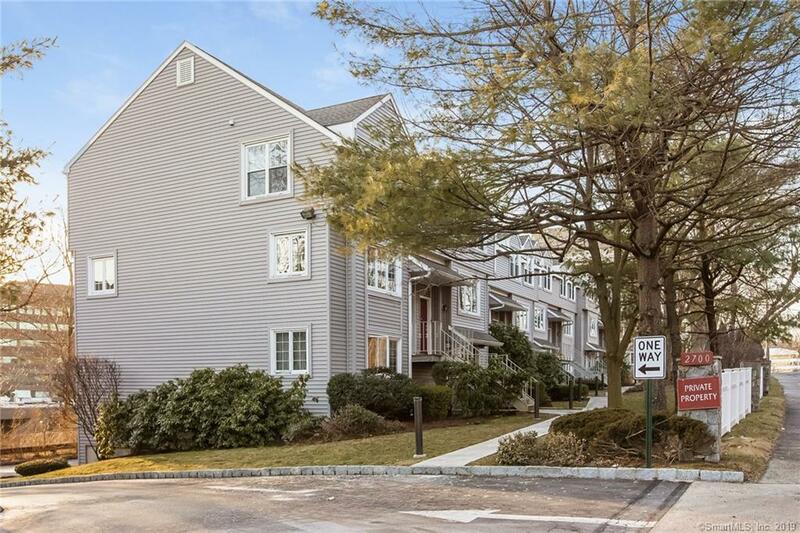 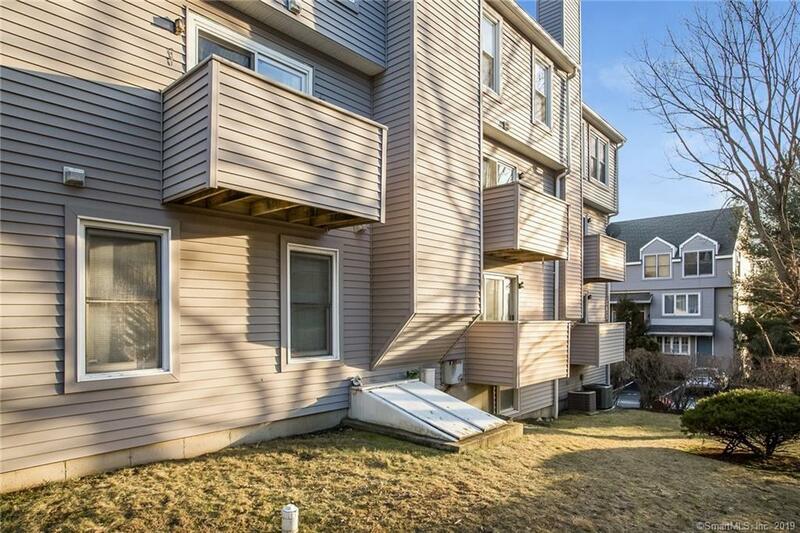 Fabulous centrally located 2/3 bed, 2.5 bath townhouse just minutes to vibrant downtown Stamford, the train station & walking distance to Ridgeway Shopping Center. 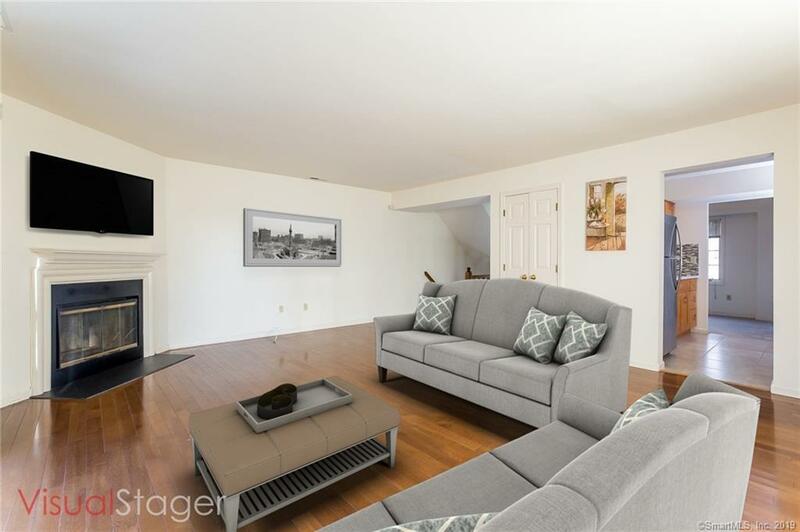 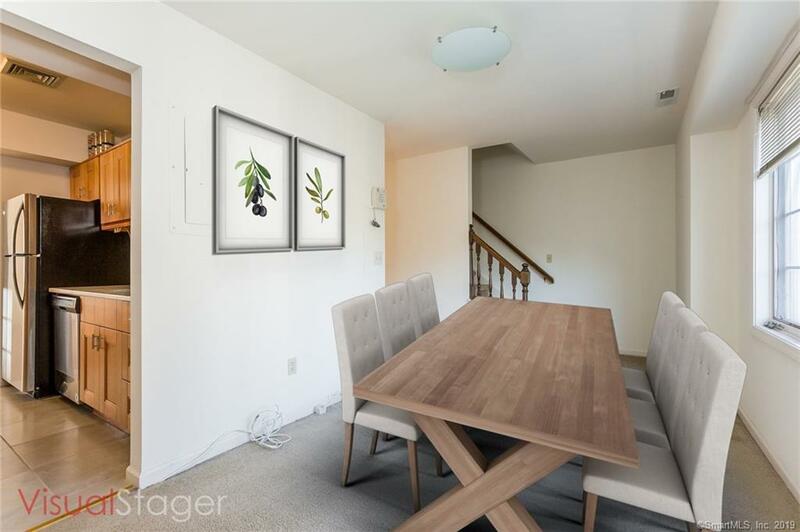 An abundance of natural light fills this quiet corner unit which offers a large living room with hardwood floors, a fireplace, and sliders that lead to a private balcony. 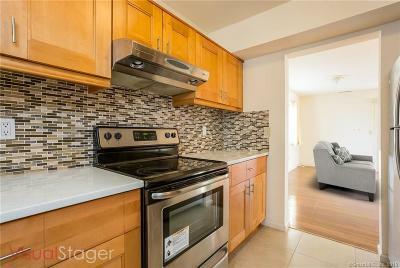 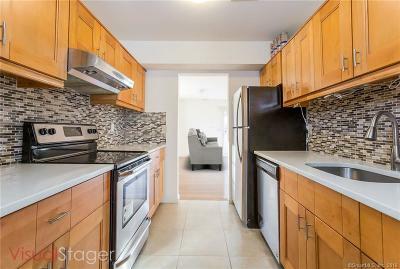 The renovated kitchen has quartz countertops, glass tile backsplash, and stainless steel appliances. 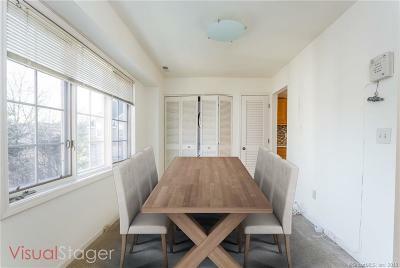 The kitchen flows right into a formal dining room great for entertaining. 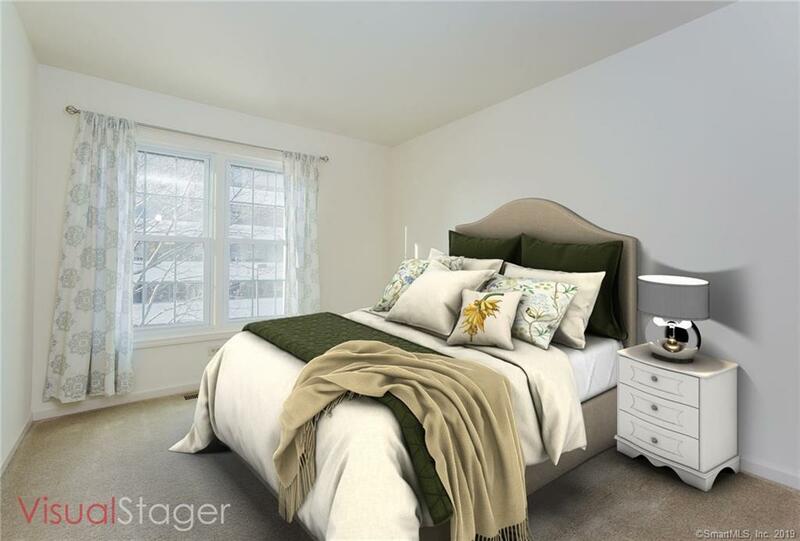 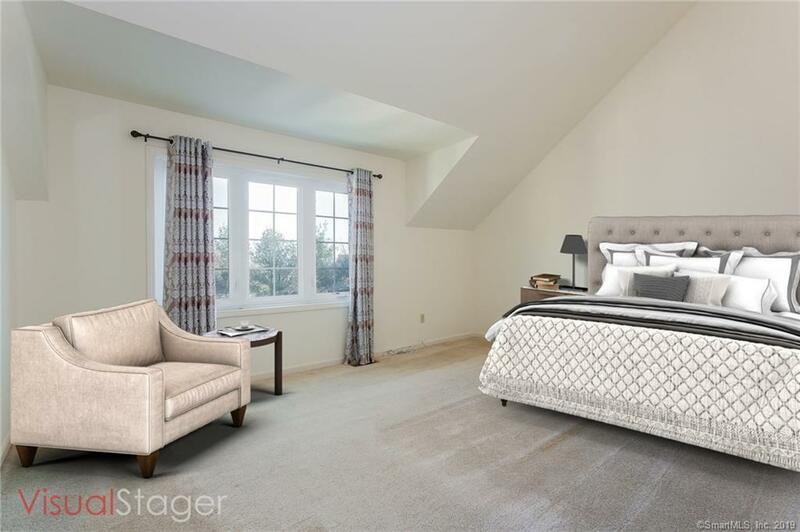 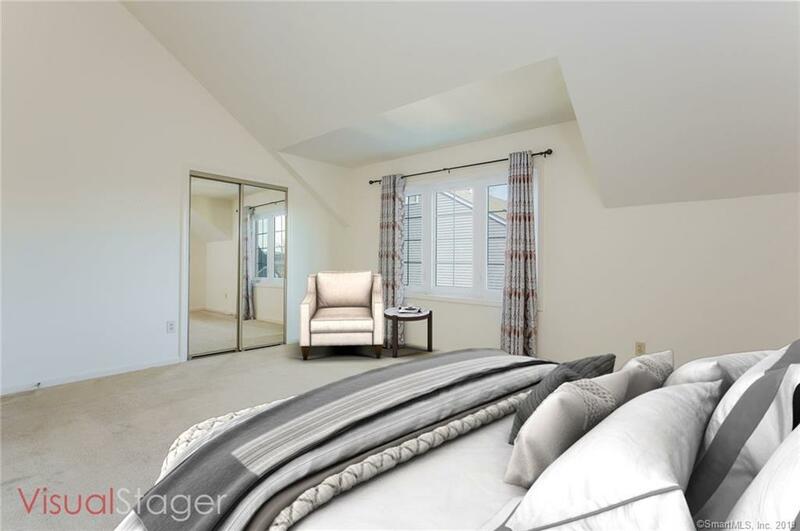 Upstairs boasts an impressive master bedroom with vaulted ceilings and an en-suite bath. 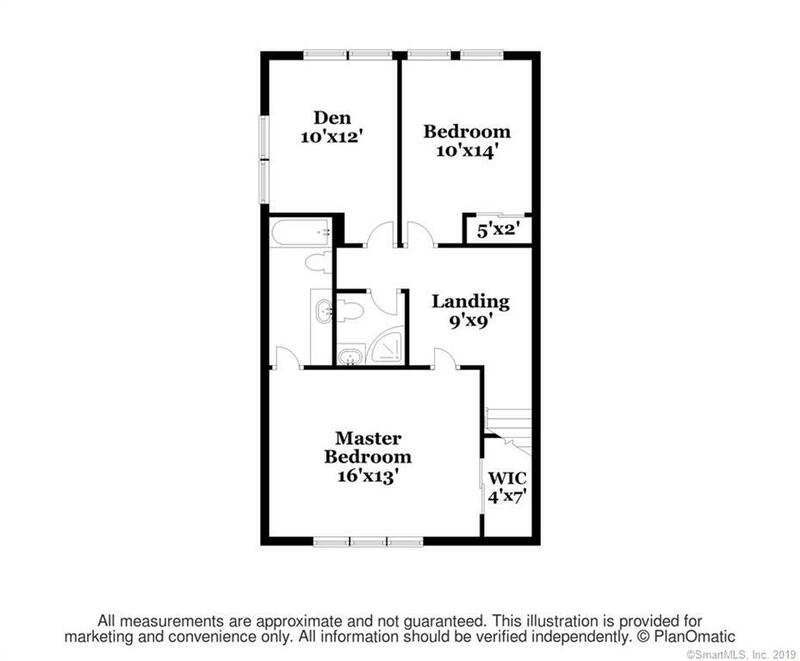 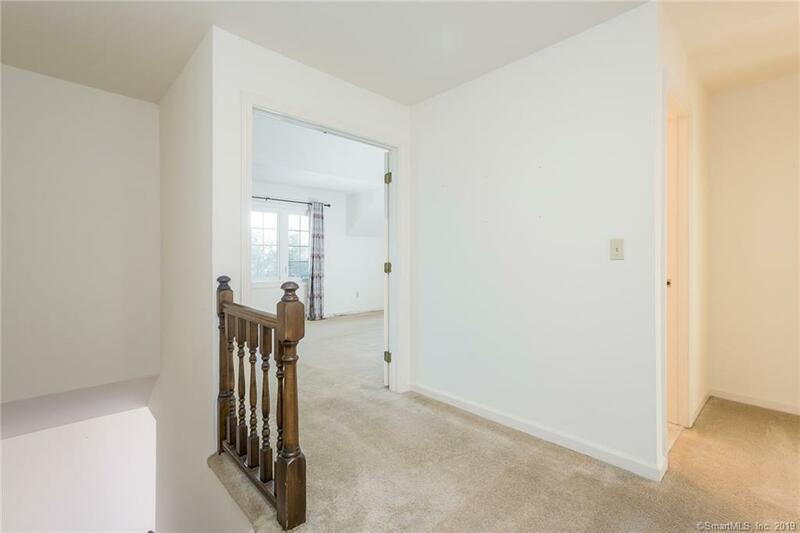 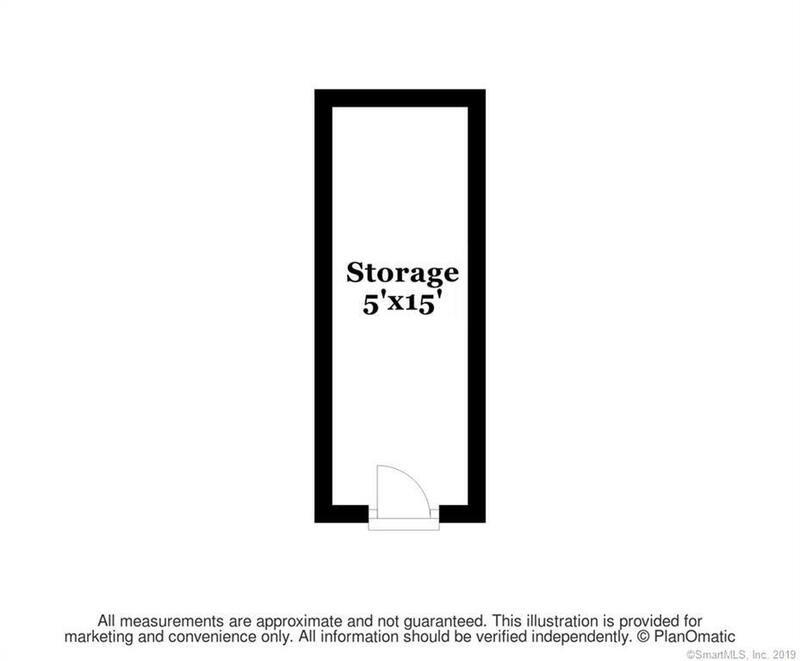 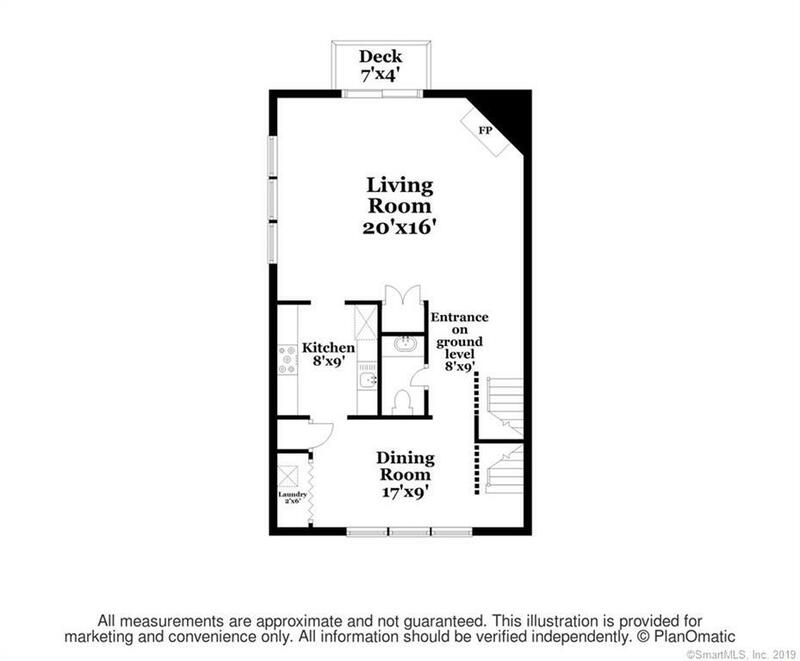 Two additional rooms upstairs, one of which could be used as a 3rd bedroom or den/office. 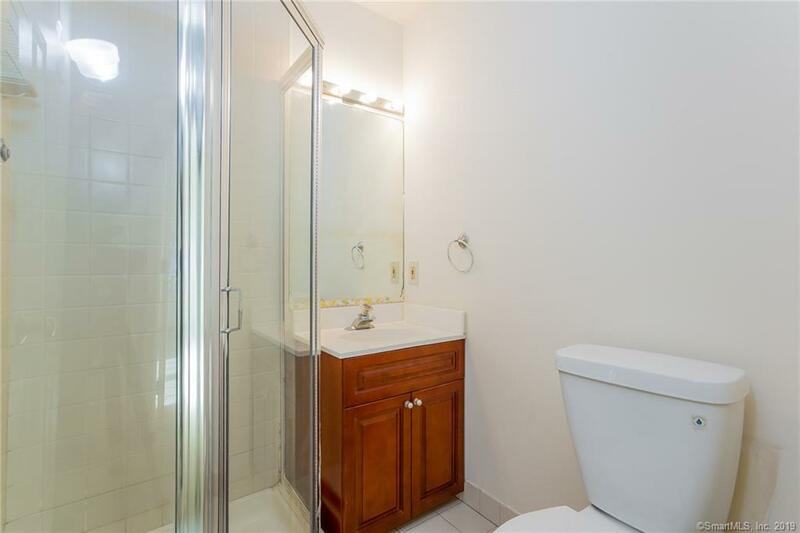 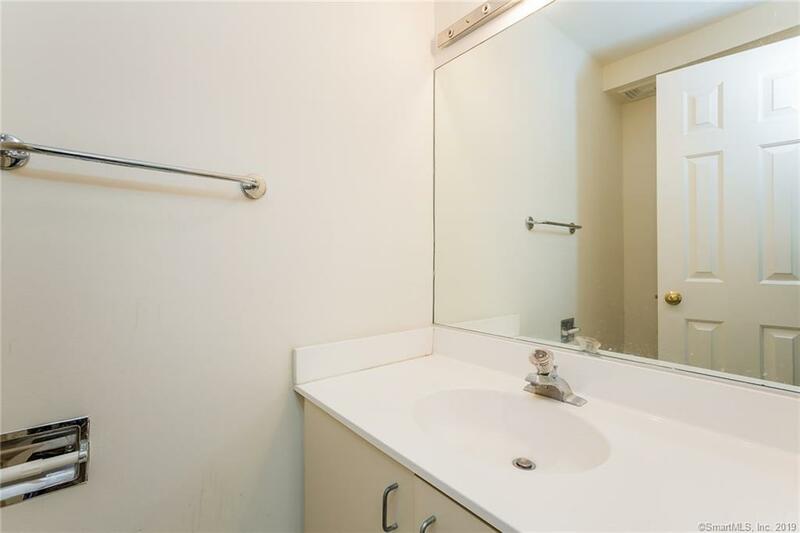 Laundry in unit on main level, private storage room in the basement of the building, 1 assigned parking space #28 and plenty of additional guest spaces. 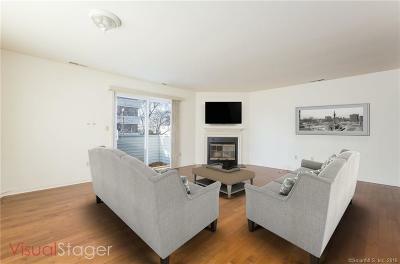 Welcome home - just unpack and move right in!